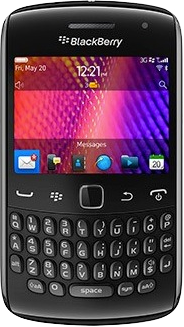 The Blackberry Curve 9360 is a worthy edition to the Curve series that is ultra affordable, and gives you plenty of features for your money. The characteristic full QWERTY keyboard of the Curve is streamlined and easy to use, with intuitive shortcut buttons and well spaced keys. Messaging, browsing and viewing media are all enjoyable on this phone, despite the compact package. Not only will you have the basics, including Bluetooth, WIFI and 3G, you’ll also have support for the latest in data transfer technology. The Curve 9360 comes with an NFC chip, this Near Field Communication technology will allow you to share information between devices, simply by placing two handsets back to back. And with the continuing development of the technology, soon you can make electronic payments at various stores with NFC terminals. Blackberry is known for being the best handsets for messaging. Not only does it provide a smart interface for viewing and editing documents, as well as secure emailing (which accounts for it’s attraction to business professionals) it is also great for anyone who does a lot of heavy texting. Not only does the QWERTY keyboard keep your messaging efficient, BBM means you can send messages from apps, games, and more, all without incurring any additional changes on your bill. Although the Curve 9360 doesn’t have a touch screen, the high definition quality of the display is incredibly satisfying for it’s size. Browsing online, reading small text, and viewing pictures is enjoyable, thanks to the high pixel density and the TFT LCD screen, it holds it’s own against the latest generation of mobile displays. The handset is also sleek, coming up at just under 100g and measuring at 109 x 60 x 11 mm, it feels good in the hand, which is ideal for typing on the QWERTY keyboard. Great price, great service, perfect handset. Positively thrilled, cheers!! I've only ever owned blackberries, and that won't change any time soon. the curve is the best, i prefer qwerty to a touchscreen any day. this phone really grew on me, didnt like the keyboard at first but now i cant live without it. When this handset came out I had a Nokia, I wasnt sold by the idea ofa Blackberry but once I got my hands on it I loved it. got approved and got my phone all very quickly. very pleased, thanks loads. good phone. good price. thanks. I originally bought this handset for work, but loved it so much I bought another for personal use. It has all the features I need for both work and play.